Could there be more perfect timing? Just as word reached us that the Los Angeles County Metropolitan Transportation Authority (or “Metro”) lifted their ban on bikes on rail cars during rush hour, we received several large boxes from London filled with Brompton bicycles! 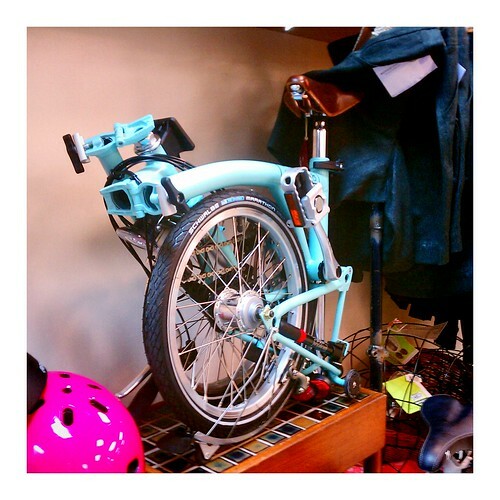 We’re a shop that believes in using public transportation, and few bikes are as perfect for trains and buses as Bromptons. Our Dim Sum Rides often begin with a short walk to the Gold Line station, where we have introduced many people to (gasp!) 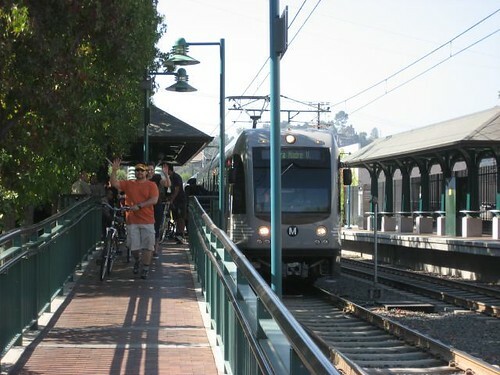 an effective, affordable, and convenient train system in Los Angeles. Our group boards a train on a lazy Sunday morning, goes two stops and then coasts down to a Chinese brunch. There are lots of types of advocacy out there, but this is the type we prefer. When Metro finished its Gold Line extension into East LA, we held a massive sale – knocking $200 off any bike in the shop with a Gold Line ticket. Now we are prepared to help people looking to live the car-free or car-lite life using transit to get the best bike they can to take to work, out shopping, on a date, on holidays, or to school. 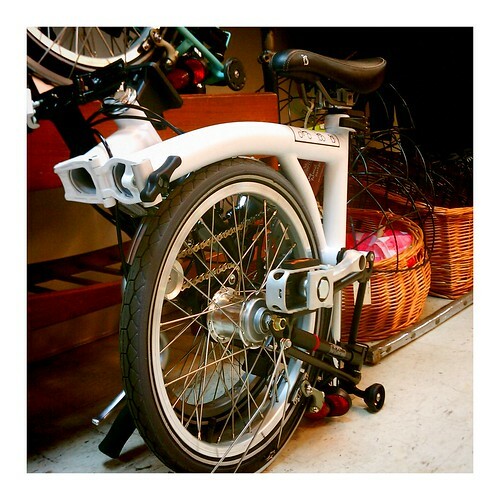 Bromptons are engineered to make carrying and storing them while in transit easy and clean (no protruding chain rings to smear your pants like the competition’s bikes). Prices for Metro start at $1.50 for a one-way fare. 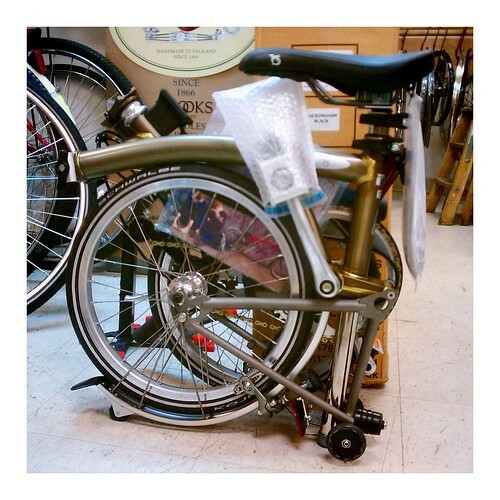 Prices for Bromptons start in the $1,000.